Christopher Dotson Art - Hold Fast! 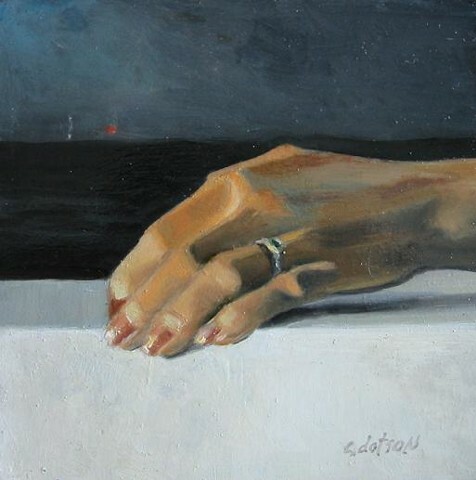 This painting is actually a portrait of my wife's hand. She is grasping a white object. A ship's lights can be seen in the distance.